When Facebook CEO Mark Zukerberg rings the opening bell at the NASDAQ in two hours it will be 9:30 at night in Singapore: where Eduardo Saverin, Zuckerberg’s former Harvard classmate, will pass the milestone with his new compatriots. That Saverin is young, single and in as-good-a-place-as-any to mingle on a Friday night strikes me as perfect timing for the co-founder of Facebook. And given estimates that his stake in the company will be worth nearly $4bn by the time the first bottle of champagne is uncorked you’d think the 30-year-old would be lauded as the embodiment of the American Dream. But you’d be wrong. On May 17th, Saverin released a statement that triggered a tsunami of vitriol from critics claiming everything from ingratitude to greed. Acknowledging “the U.S. for everything it has given me”, the Brazil native explained that after living and working in Singapore since 2009 he’d renounced his U.S. citizenship. In doing so, detractors charge, Saverin was seeking to avoid hundreds of millions in capital gains taxes. 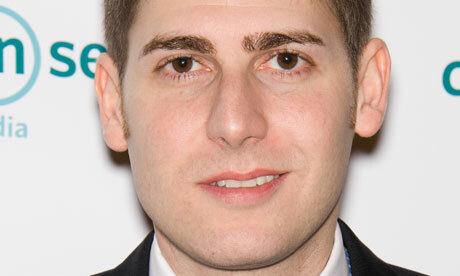 I can’t recall the expatriation of any American getting as much ink as that of Eduardo Saverin’s. As a matter of fact, I’d be hard pressed to name a single American who has expatriated in my lifetime. Not because it’s unprecedented, but because US citizens tend to view migration as a one-way street… with a paternalistic mono-focus on those lucky immigrants coming to America. The irony of North Americans crying foul when a Latin American decamps for Asia cannot be overstated. And though I believe in corporate responsibility to the communities which provide an educated workforce (and maintain civic stability & infrastructure) the quid pro quo relationship does not preclude Saverin’s right to determine where he wishes to live and work. That he intends to do so within the bounds of the law– paying a hefty exit tax to Uncle Sam in this case– is not in dispute. As for the charges of greed and self-preservation: while the business person’s propensity for making decisions based solely upon preservation of their capital is well documented, the truth is that even if every captain of industry were to disappear overnight this self-serving aspect of human nature would not vanish with them. Thus, while I am sorry to see Saverin and his taxable bonanza go, I don’t begrudge him the decision that most people would make were they in his flip-flops. Barring the debates about what, if anything, Saverin “owes” the United States, I am troubled by the jingoistic assumptions that one’s motivation for renouncing a U.S passport must be ill-advised at best, suspect at worst. Might Singapore’s proximity to the exploding markets of China and India make it the perfect place for a young entrepreneur with a background in social media to establish residence and do business? And might the timing of such a move be prudent given the growing economies in Asia contrasted with the stagnant (on a good day) one in the States? There is also the question of reputation, and the shellacking the United States has taken following over a decade of unjust wars and the tens of thousands of lives lost as a result. How might this tarnished reputation impact an entrepreneur’s opportunities abroad? For all of the freedoms, privileges and opportunities that come with being an American citizen, ours is not a perfect union. Moreover, we can be willfully shortsighted when it comes to acknowledging opportunities that lie beyond our borders. Which is why we might want to at least see what Eduardo Saverin sees in Singapore before dismissing the idea outright.